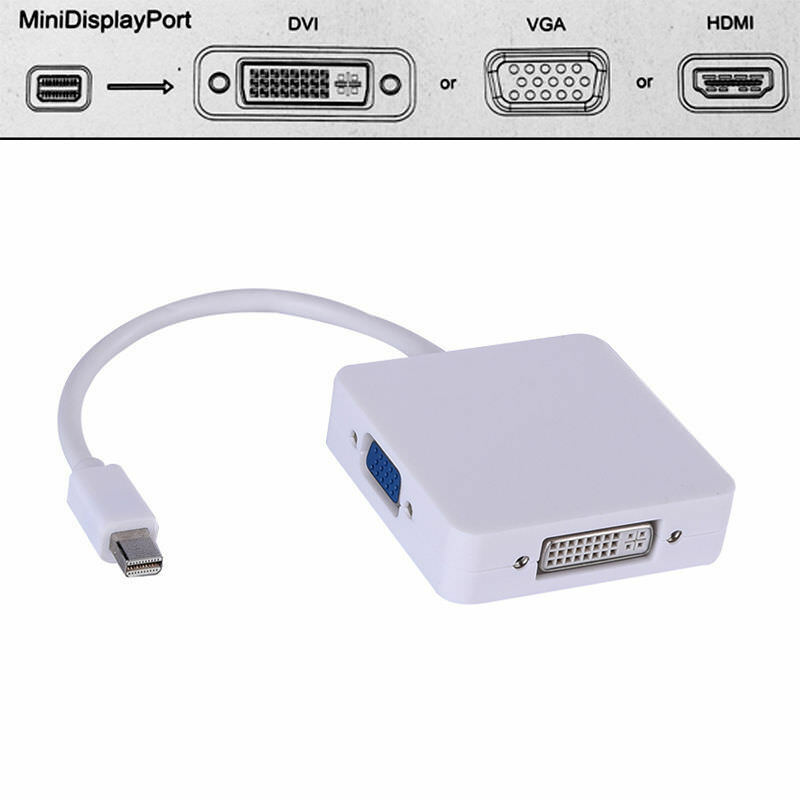 I have a thing against Mini DisplayPort. Ah, the cause of so many of my problems. I’ve been through broken mDP (Mini DisplayPort) cables, broken mDP ports, and “non-working” mDP to HDMI adaptors causing havoc. It’s things like having to drive to a shop just to buy a working adaptor when you really need it, or figuring out what angle to bend the cable to get a projector working for a 21st party (yep). In one case,Â the entire Surface Book unit was shipped back to Microsoft to be replaced (followed by a reinstall of everything)! Oh, and Dell refused to replace a broken mDP to DP cable after an entire hour on the phone. However, it’s the problematic mDP to HDMI adaptors that I’m here to post about. This is the second one I bought. The DVI/HDMI ports do not work. VGA does work. Disassembly revealed good soldering. Question marks as to why VGA works but the other two don’t (no signal on sink monitor). I was projecting from my laptop at a venue which had already had two mDP to HDMI adaptors plugged into an iMac. Each of the two HDMI cables connected to a separate display via the adaptors. However, my laptop would only show output on one monitor and not the other. Why? I don’t know!! (To be fair, there was a Blackmagic switcher in the mix, but HDMI should work regardless of the source being a Mac or a PC). The left adaptor is reportedly an active (4K HDMI) adaptor, too. Justifies the RRP. Out of curiosity and part frustration, I wanted to know why these adaptors weren’t working. So I took them apart. 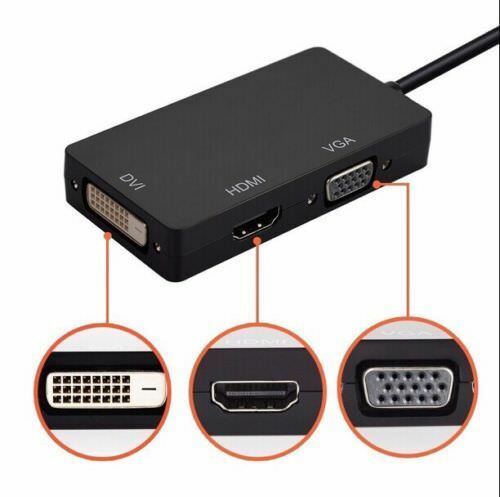 Why do the HDMI and DVI ports not work on Adaptor #2, if its using the exact same DP126SS chip as in Adaptor #1? No idea. Did not tear down #3 and #4 – not mine! This could be more of a lesson on buying cheap stuff off eBay, and not complaining and getting a refund it in time. 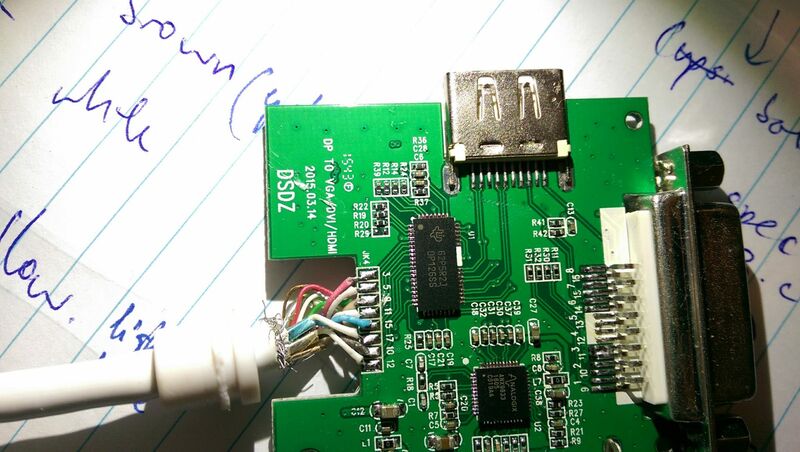 Or a lesson to buy better built adaptors ($$$). Or maybe the adaptor wasn’t at fault; rather it was a problem with the laptop sending out the HDMI signal. Or a lesson to by a Mac. In short, some things still go unexplained. I did also come across this, similar-looking to #2 (Rectangle): UNITEK Y-6354. I’d be interested to know if the HDMI conversion is active on this one. Simultaneous output on all ports. 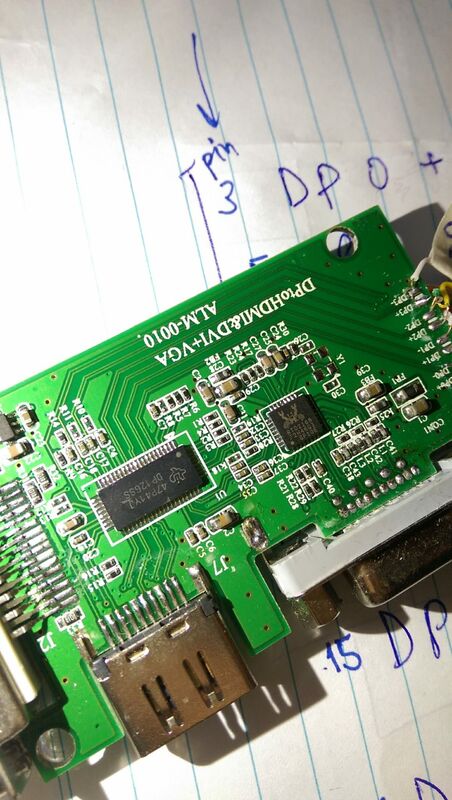 http://briankhuu.com/projects/mini_dp_adaptor_teardown/GenericMiniDispToVGAorHDMIadaptorTeardown.pdfÂ – this one from ebay looks promising, seems to be active. google the chip models for datasheets. 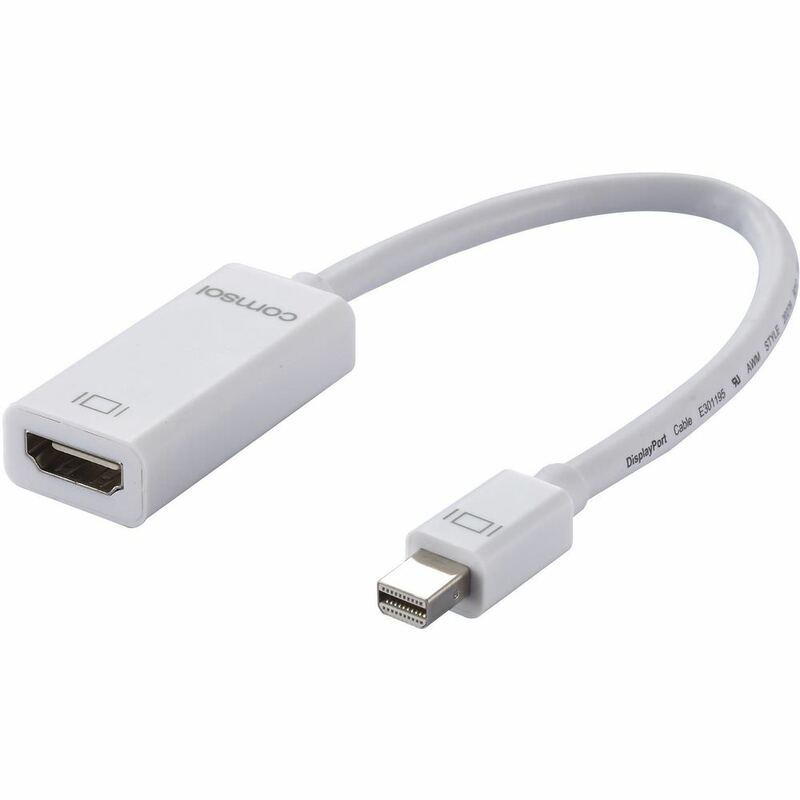 for trivia:Â https://panic.com/blog/the-lightning-digital-av-adapter-surprise/#comment-16841Â – a different kind of adaptor, but it HAS AN ARM SOC AND 2GB OF RAM! !